Heilan Group-owned Chinese fashion brand, Heilan Home (HLA), has launched its first flagship store in Kuala Lumpur’s MyTown Shopping Centre, marking its first foray into Southeast Asia. According to China Daily, Kuala Lumpur was chosen for the location of its flagship store due to its reputation as a fashion hub in Asia, the country’s close relations with China and its cultural inclusiveness. These factors enable HLA to achieve its “Three Step” globalisation strategy of being rooted in Southeast Asia, creating a bridge into Asia Pacific and achieving global recognition. HLA president Louis Zhou added that with Kuala Lumpur being a lively city with a “trendy and vibrant scene”, consumers are constantly keeping an eye on the latest fashion trends, reported The Star. The men’s fashion brand targets consumers ages 25 to 40 and will debut in Malaysia with its Spring/Summer 2017 collection. 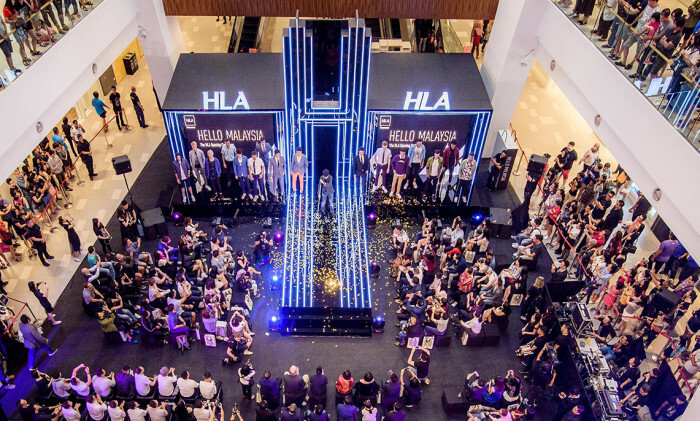 HLA expects to offer Malaysian consumers with “fresh fashion choices” while injecting vitality into the clothing industry through cultural integration. Established in 2002, HLA is positioned as a fast fashion brand with franchises across China. It is also available in Chinese supermarkets. Mastercard restructures global marketing function to be "more decentralised"
CMOs, you need to step up and operate as the organisation’s central social media nervous system. Also, a list of the most social s.. While churn in agencies have always been the norm, several senior PR professionals tell Marketing why the big agency model didn’t ..
Samsung is going to unveil the new Galaxy S8 today, with plans to re-sell the refurbished Galaxy Note 7. ..